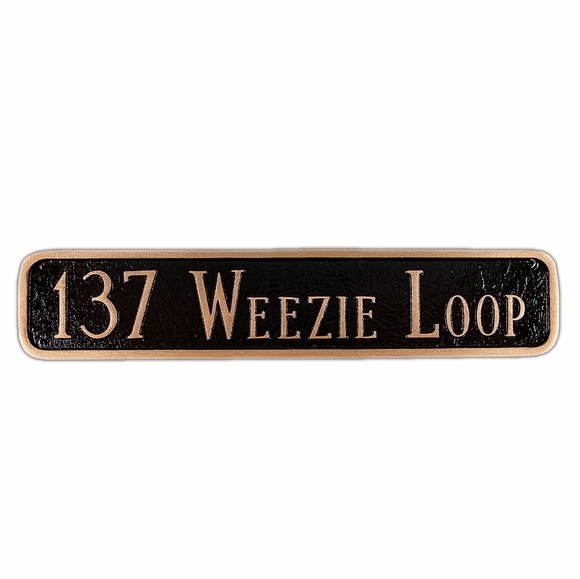 Address Marker - - 20" x 4" or 24" x 4" for wide but not tall horizontal spaces. Entire house number and street name is written across. Wall mount or lawn mount. Made in USA. One-line personalized address sign holds up to seventeen (17) characters. 20" x 4" sign character size is 1.5". 24" x 4" sign character size is 2". Dimensions: 20"W x 4"H or 24"W x 4"H.